Custom Imprinted 7 Inch Hand Clackers will win the applause of all the attendees during game days, parties and picnics; these custom party noisemakers are great to celebrate any event like a school fundraiser, holiday party or community arts project. 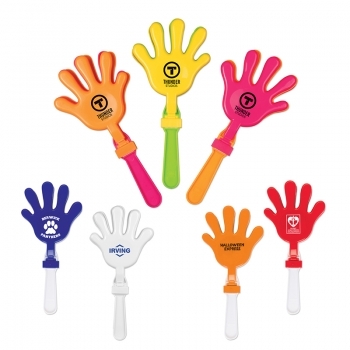 Get your logo and message imprinted on these hand clackers to make heads turn; choose from a range of crowd pleasing colors or assorted colors; budget friendly and incredibly popular these hand clackers are great giveaways at tradeshows and conferences. Bring a smile to the faces of both young and old with these noisy toys that will draw easy attention even in crowded events. 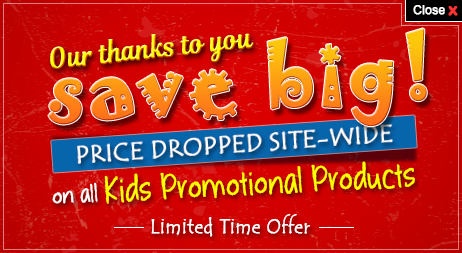 Order these custom kids promotional products right now to win free artwork design, free online proofs and fastest turnaround time offers.